Pope SWCD is starting to accelerate voluntary enrollment of buffers with goals of buffering at least 90% of the county’s public waters. If you are interested in buffering any waterways on your property, contact us for more information on programs and available financial assistance. 33% of the sales tax revenue from the Legacy amendment is allocated to the Clean Water Fund. These funds may only be spent to protect, enhance, and restore water quality in lakes, rivers, and streams and to protect groundwater from degradation. Landowners can enroll their land into the program for 10-15 years and in return, FSA will provide annual rental payments, possible incentive payments, as well as cost share for practice establishment and management. 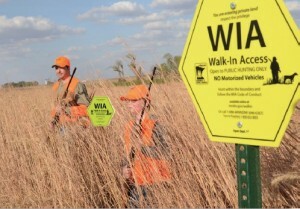 Landowners can pick from a variety of specialized practices to meet their conservation goals by enrolling into the Continuous Conservation Reserve Program. The Pope Cooperative Weed Management Area (CWMA) is working to address the invasive species problems in agriculture areas and native prairies in the county. EQIP offers financial and technical help to assist eligible participants install or implement structural and management practices on eligible agricultural land. Gilchrist Lake watershed was nationally selected as a priority watershed and landowners in this district may be eligible for additional funding for putting conservation on the ground to improve water quality. 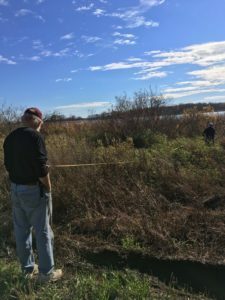 The goal of this program is to restore marginal agricultural land and protect environmentally sensitive areas by reducing soil erosion, enhancing water quality, minimizing damage to flood-prone areas, sequestering carbon, and supporting wildlife habitats. Through the State Cost-Share Program, landowners can request financial and technical assistance from their local SWCD for the implementation of BWSR-approved conservation practices. 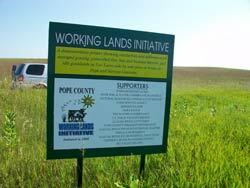 If you have land in CRP, RIM, WRP, CREP, or any other conservation program and would be interested in earning extra money off of it please contact the Pope Soil & Water Conservation District. Pope SWCD has some funding to provide cost-share assistance for well sealing. The SWCD will contract with the property owners to share the cost of priority-abandoned wells. Participating landowners are encouraged to develop pasture management to implement rotational grazing plans. Funding provided was also used to purchase permanent and temporary fencing material.